we do have tons of miscellaneous stuff. 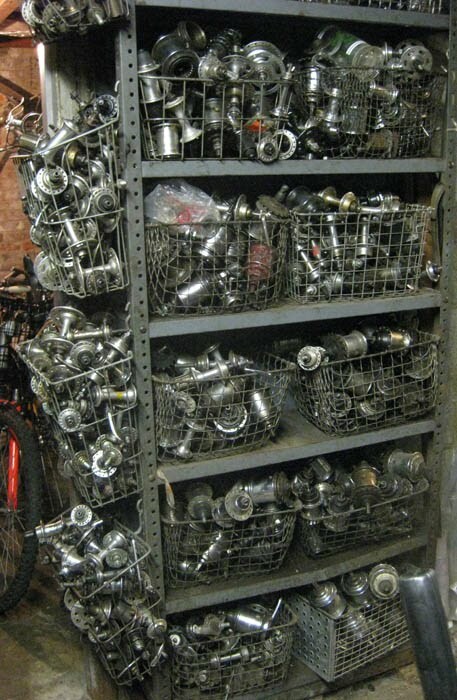 how about a wall of hubs, that is one of many. You can mail all the old Raleigh cottered cranks to me! Can't find the damn things in the Midwest. I have one of the ti Schwinn Paramounts from 1999 or so — paint is almost an exact match for that one. I always liked the color, but didn't realize there was any actual history behind it. it is known as Radiant Coppertone. it was very desirable color in 1960s Schwinn, my favorite. That Paramount in the picture is 1950s. TD, we will end up using every one of the cranks. 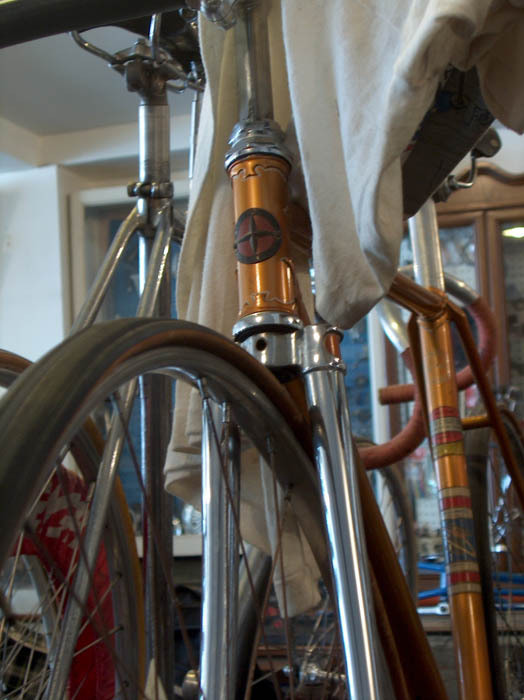 all we sell is used bicycles and have to keep them running. 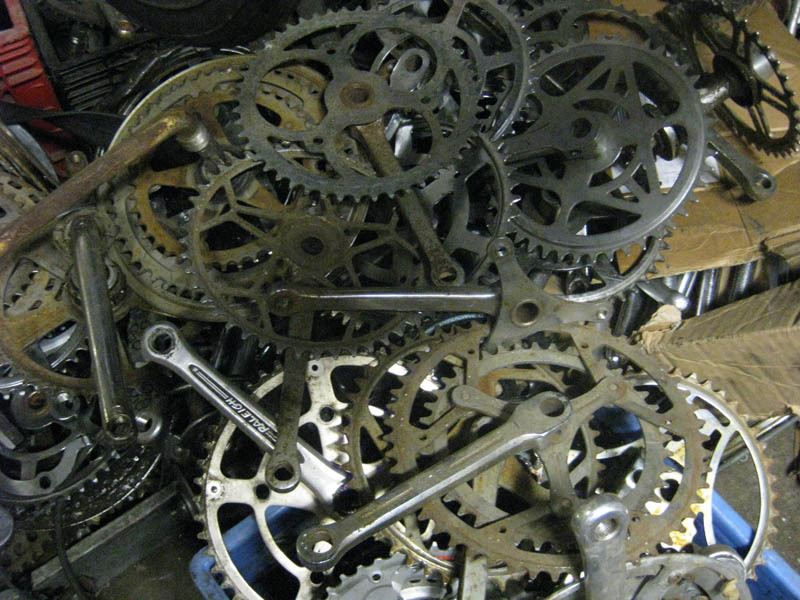 I have heard it is hard to find cottered cranks out there, but you guys have all the schwinn stuff. It's hard to find Raleigh cranks for some reason. I do, however, know some people that have them. There are a lot of the bike boom Japanese bikes that have cottered cranks laying around in people's garages around here, but those of course are normally road doubles of some sort.